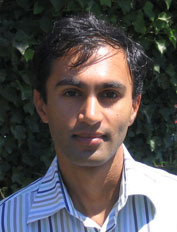 Raghu Parasarathy, a biophysicist at U Oregon, and my correspondent in this previous post on faculty blogging, has decided to try it out. Raghu is a deep and creative thinker, so I'm sure we have some interesting contributions to look forward to! My key motivation ... hopefully recording a variety of thoughts will help them persist, and perhaps coalesce into something useful. And maybe some of the topics I expect to write about — the structure of higher education, biophysics and animal/microbe interactions, my sporadic efforts at painting — will be of interest. Here's some video from recent imaging work Raghu has done (microbiome of a zebrafish). Great, I'll add it to my list. Thank you.